Undergoing cardiac surgery is one of the fragile conditions that need serious monitoring upon recovery. Thankfully, with available providers of skilled nursing in McLean, Virginia, recovery from these complicated procedures can now be done at home. More patients will prefer to recover at home for the reasons of convenience, comfort, and familiarity of the environment. With skilled nurses attending to their health and recovery needs, this is now possible. What should patients expect when they recover at home? Patients may feel a fluctuation of fatigue and strength when they’re recovering. This is a normal scenario for heart surgery procedures and should not discourage the patients. 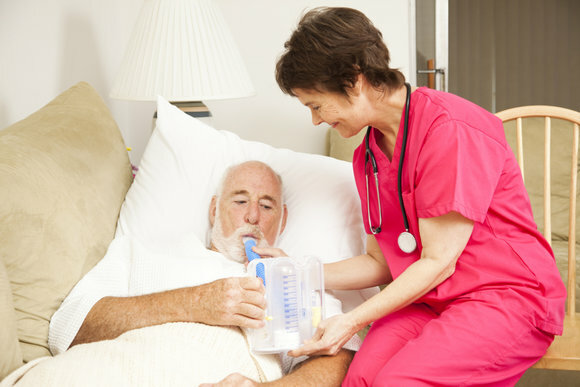 For this reason, it’s important that they have skilled nursing assistance so that these medical concerns can be immediately addressed, and reduce the chances of feeling low. What does a usual day for recovering patients look like? They can get help from providers of home care service in Woodbridge, Virginia to attend to their chores and other home tasks. What can patients do with their incisions when they’re showering? Use warm water to bathe. Gently wash the incision area with soap and water BUT do not scrub it. What should the patient be eating? Ensure that they’re eating a balanced diet. Be adequately hydrated, especially with water. Follow the doctor’s diet recommendation, if there’s any. Eat smaller food portions instead of three big meals. Ensure that you’re staying away from too much salt and bad cholesterol. The patient recovering from a cardiac surgery will surely have many questions still. For this reason, they have to be consistently in touch with their primary physician so that their care needs are properly checked at home. While they’re recovering, our team at OptimumCare Home Care Services can assist the patient for their other responsibilities and chores at home. Do you know someone who needs this kind of service? Forward this post to them. This entry was posted in Home Care Services and tagged Cardiac Surgery, companion services, skilled nursing. Bookmark the permalink.